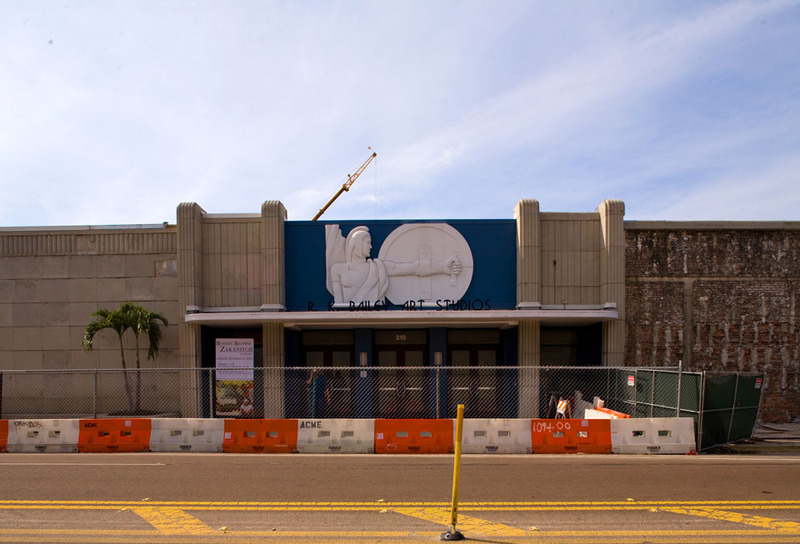 Before the State Fair was held at its current location off of US-301, it was for many years held on the land adjacent to the University of Tampa. 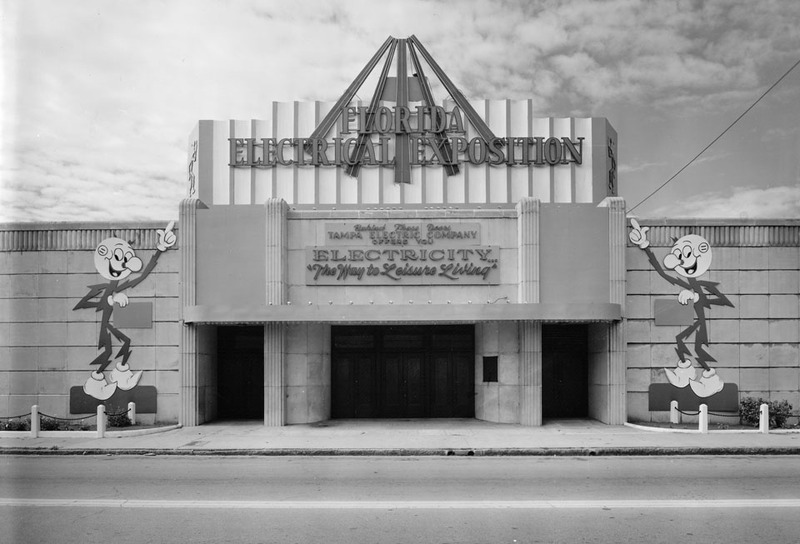 This photo of the Florida Electrical Exposition building at the former Florida State Fairgrounds is now part of the University of Tampa. There have been construction workers at the building next door for quite some time. However, they just recently began removing the square tiles from the facade of this structure. FYI…the construction has been completed and the facade looks different. Thanks. I’ll have to take another photo of it soon.